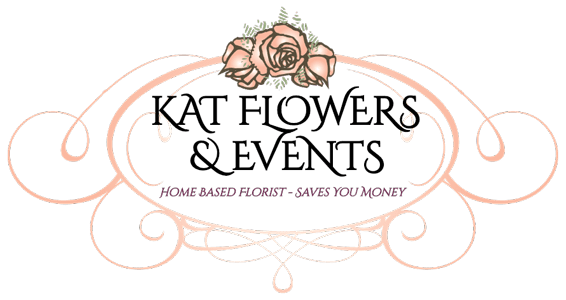 Kat Flowers & Events has an extensive range of Donut Walls available for hire for your next event. 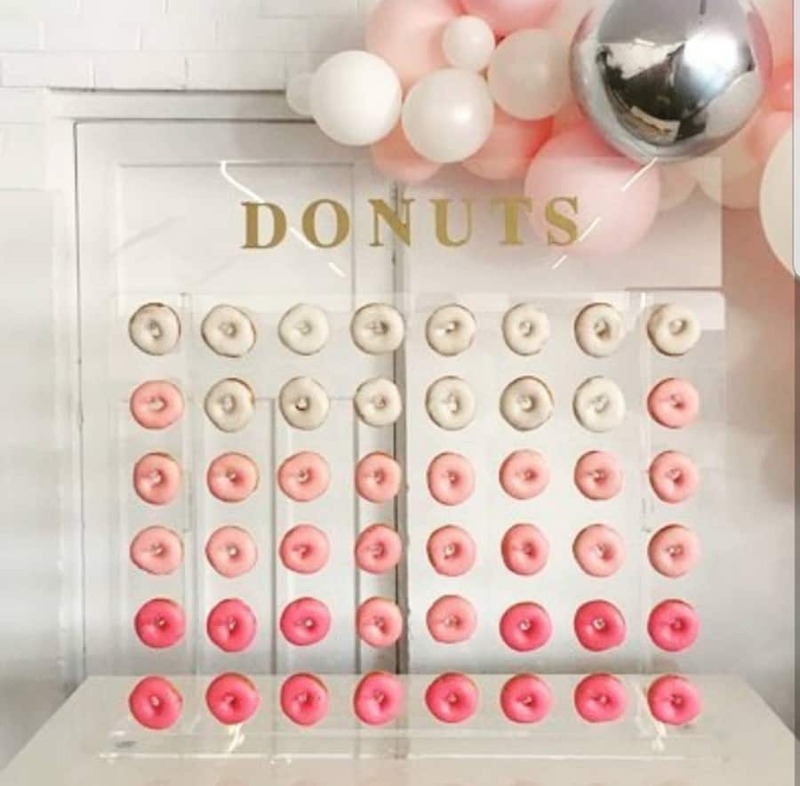 Donut Walls are very popular for birthday parties, weddings, engagements, bridal showers, birthdays, anniversaries, christenings, corporate events and photo shoots. 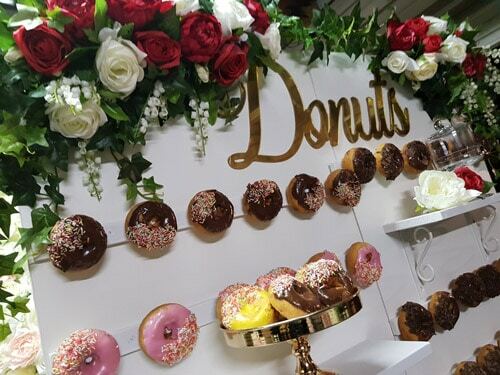 Hire includes dressing up the donut wall with silk flowers to suit YOUR event – elegant for engagements and weddings, toys and colours for christenings and baby showers, to match your theme for birthdays, corporate events and bridal showers. 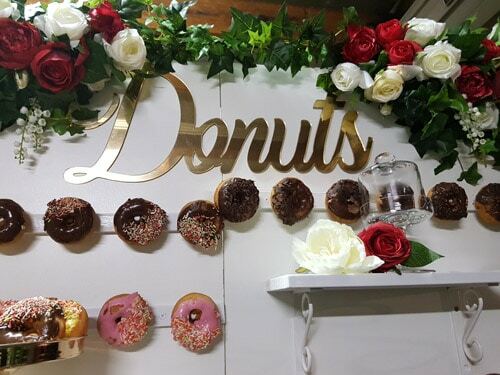 Each Donut Wall comes fully loaded with 50 or 100 donuts. 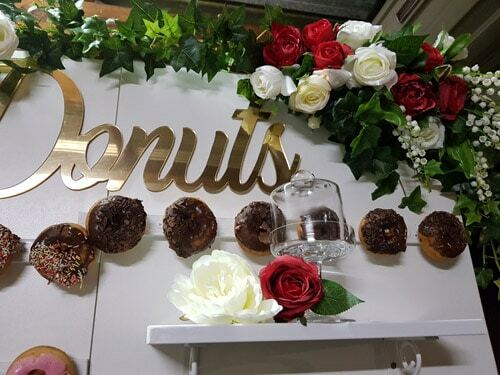 We have a new clear, free standing style donut walls in sizes that fit either 30 or 60 donuts or bagels.